The best thing about parties (especially holiday parties) is all the appetizers. 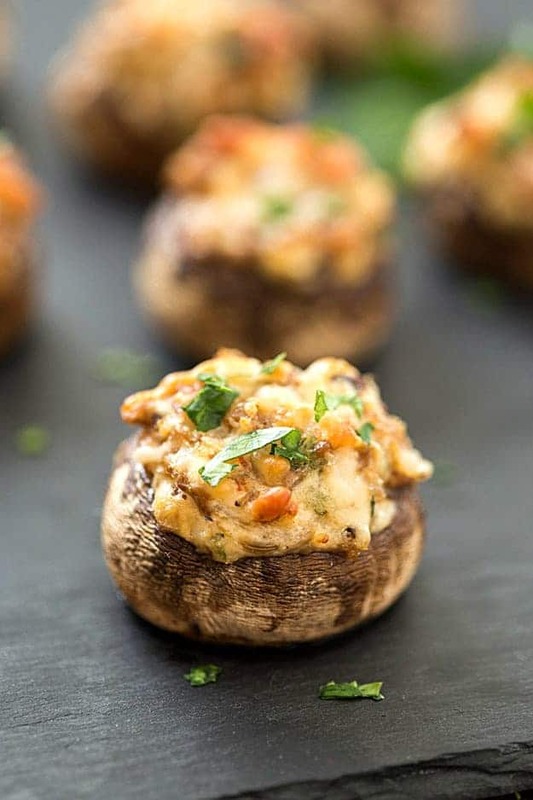 One dish that's been on the party circuit for years is the infamous stuffed mushroom. 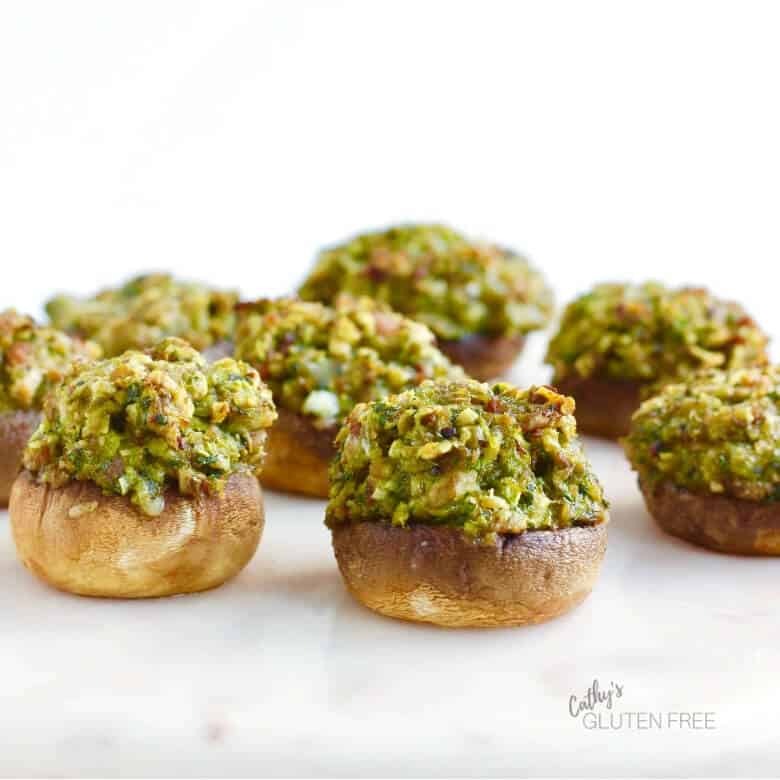 While there's no saying where the thought of stuffing mushrooms came into play, one thing is for sure, whoever created stuffed mushrooms is a saint. Bacon, jalapeño peppers, cream cheese, oh my! Whether it's for Christmas or the Super Bowl, these mushrooms are so easy to pop into your mouth as you pass the buffet table. 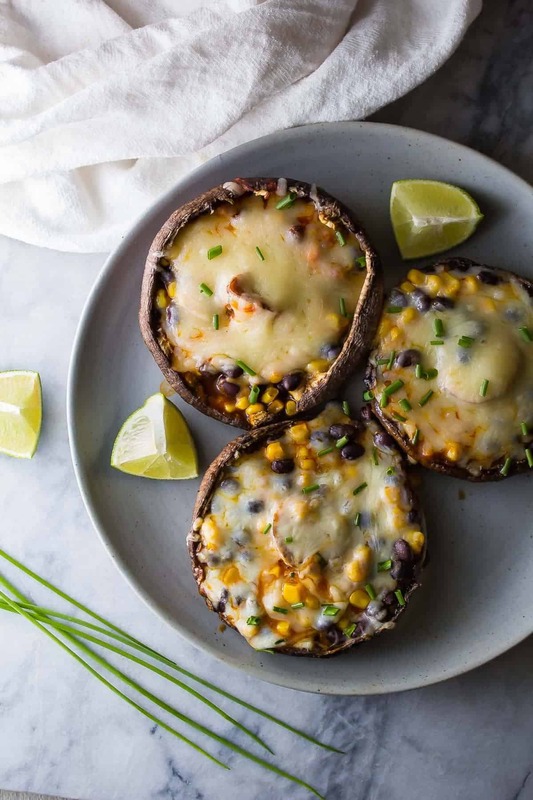 Bigger than a button mushroom, portabello mushrooms are the perfect boat for heavy toppings like black beans, corn, and mountains of melted cheese. This can easily be a main dish or an easy appetizer. 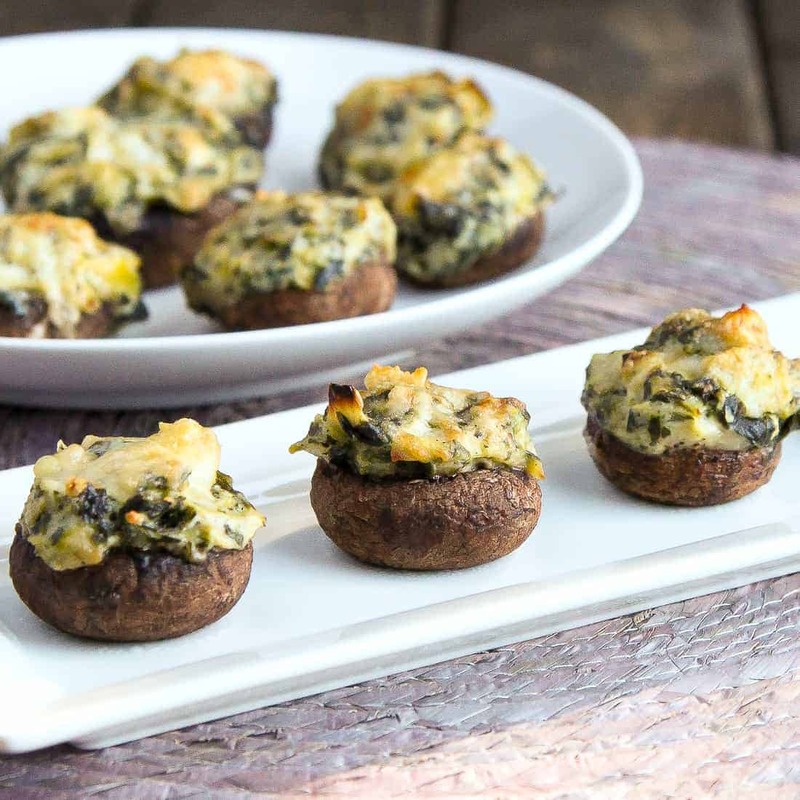 These mushrooms caps are filled to the brim with a delicious filling of bacon, garlic, onion, spinach, and smoky cheese. 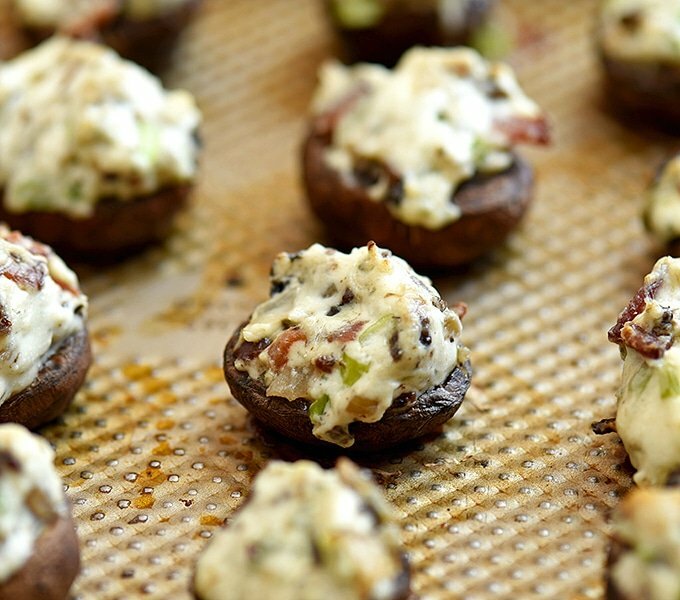 Pop these white mushrooms on a baking sheet for a low carb snack. If you've never had pimento cheese, stop reading right this instant and run to your closest grocery store. This app couldn't be simpler with pimento cheese, Parmesan cheese, breadcrumbs and of course, mushrooms. 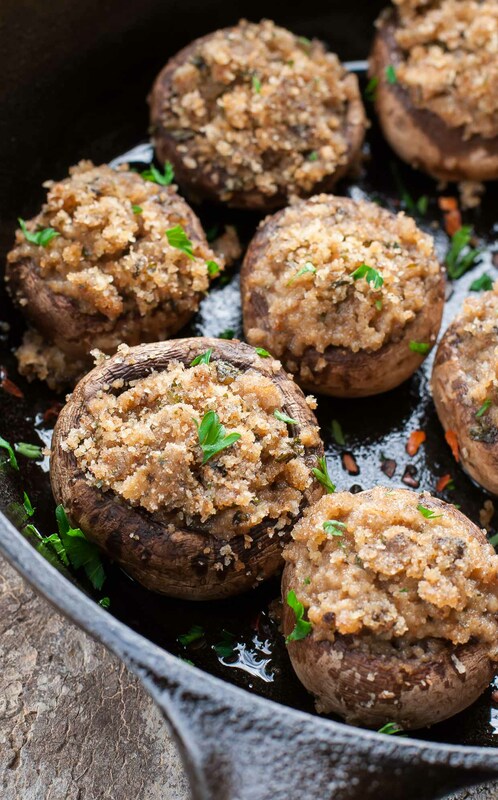 Simply mix the filling and place mushroom caps in a baking dish or baking sheet coated with cooking spray. Pop 'em in the oven and that's it! Chorizo, a spicy Spanish sausage, takes center stage in these stuffed mushrooms. If you cannot find chorizo, you can always use Italian sausage in its place. Don't be crabby! Cut off the mushroom stems and make this classic mushroom recipe for your entire family. Simply clean mushrooms and stuff the filling to the brim and bake in a 400ºF oven until nice and bubbly. This crowd-pleasing original recipe using basil oil as well as Vermont cheese powder to bring these mushrooms over-the-top delicious. Did someone say, "bacon"? To make stuffing easier, par-bake your mushrooms, stem side down to get rid of any excess liquid. Stuff with bacon, cream cheese, blue cheese and a sprinkling of salt and black pepper. It doesn't get any more classic than this. Italian seasoning breadcrumbs along with butter and fresh parsley, make this dish just like your mother's. 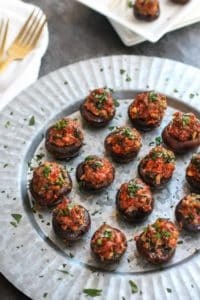 What makes these sausage stuffed mushrooms Italian? Hot Italian sausage of course! Gobs and gobs of caramelized onions fill these decadent mushrooms. 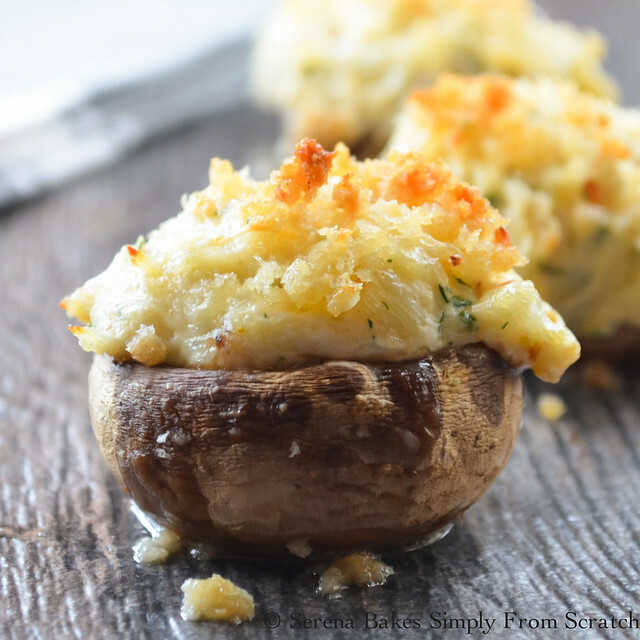 The mushrooms are cooked in a skillet, filled, then topped with mountains of Gruyere cheese. Yum! Savor your favorite dip as a handheld appetizer. 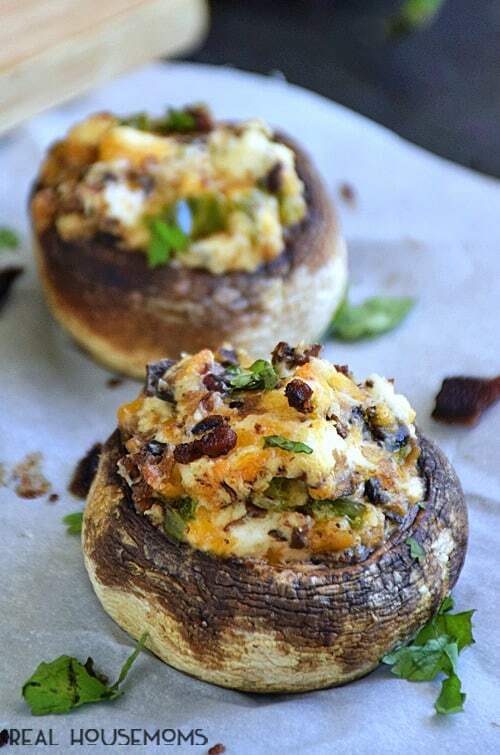 If you thought stuffed mushrooms couldn't have gotten any more creative, take a look at these bad boys. 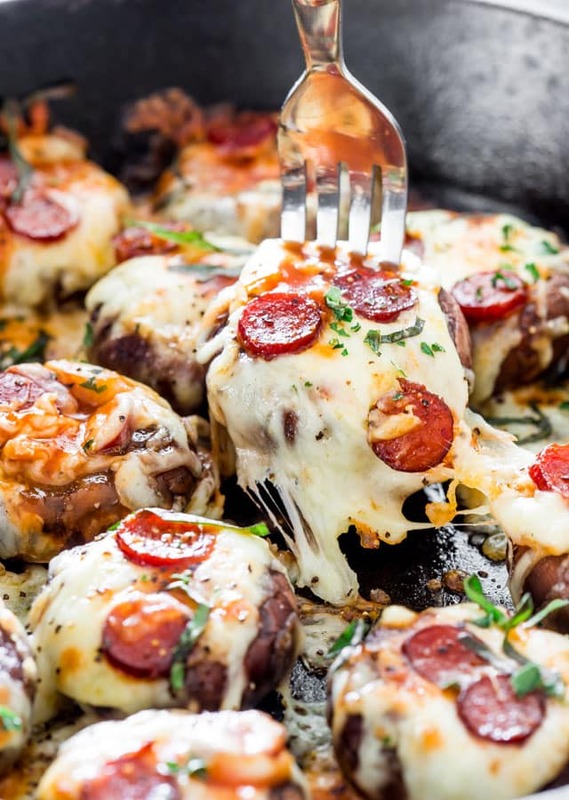 Stuffed with tomato sauce, mozzarella cheese, and mini pepperonis, these mushrooms are sure to go fast.